in fact photography is now ingrained in them. so we decided to do something more than teaching. find ways where photography can help in their livelihoods. so on 21st May 2011 we are showing their work. and selling their prints. offering some cool merchandise. its going to be exciting and fun. 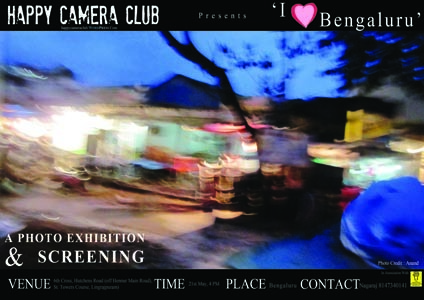 This entry was posted in Events and Screenings, Events in bangalore and tagged Bangalore, Events and Screenings, exhibiton, multimedia. Bookmark the permalink. I needed. I most undoubtedly will make certain to don?